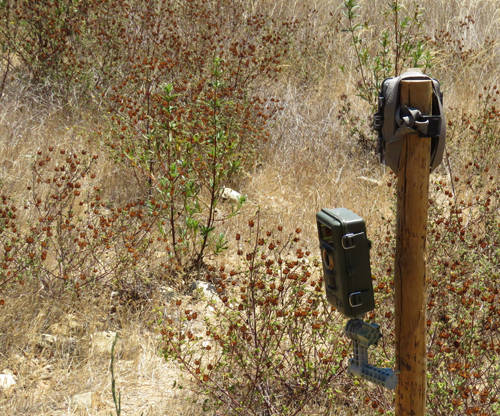 cameras at mammal nest boxes so that I can discover whether any mammals are using them without disturbing the animals that might be inside. 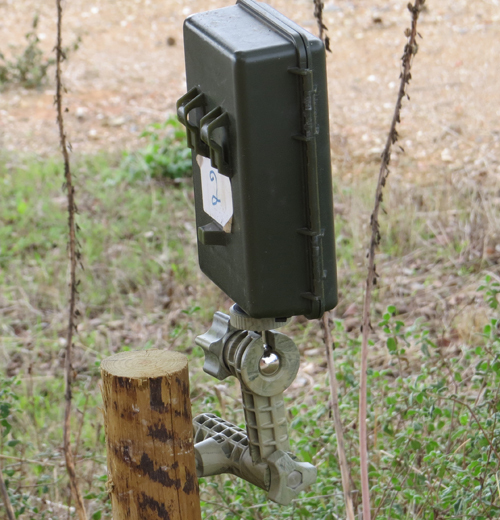 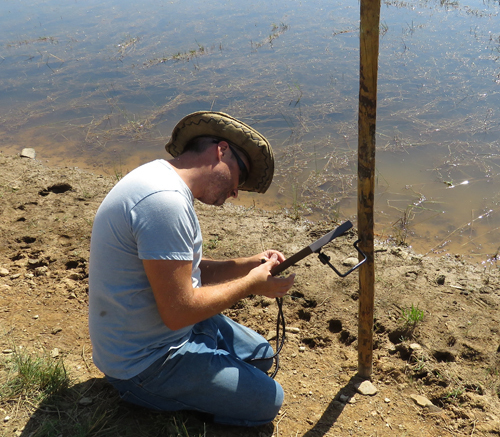 Other trail cams have been placed at rabbit burrows to record any predators that are attracted to the warrens. 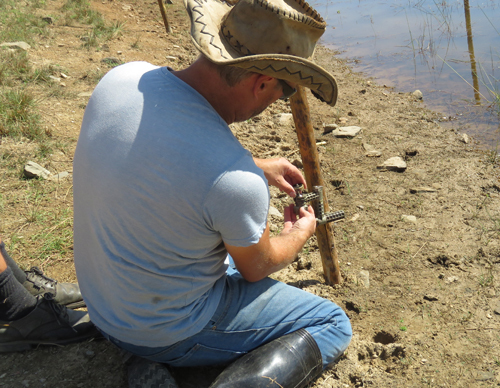 can easily be relocated to another site. 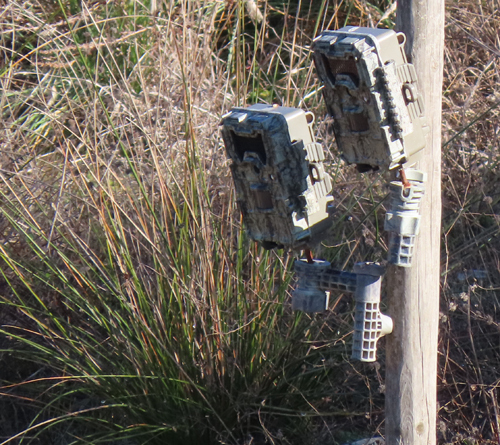 These are two Bushnell Trophy Cam Aggressor HD No Glow trail cameras. 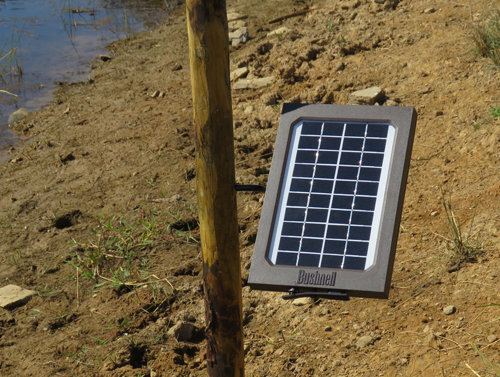 One is set to only take photos at night and the other is set for 24 hours per day. 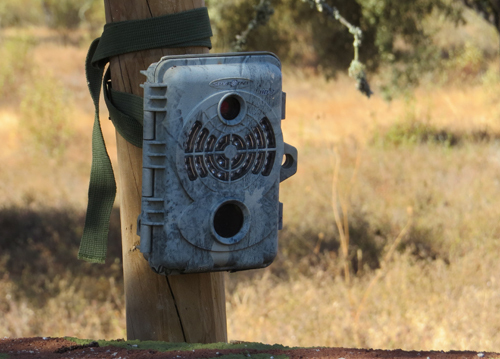 The quality of night-time photos tends to often be better quality if the trail camera only takes photos at night. 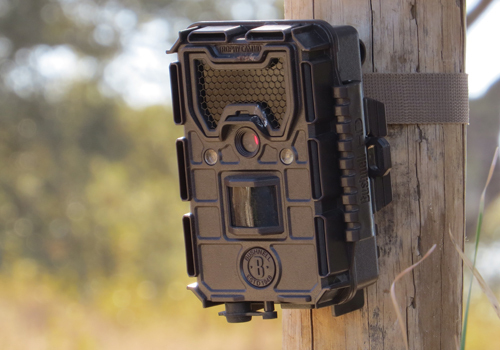 This Trail Camera is a Reconyx HP2W Professional White Flash Camera. 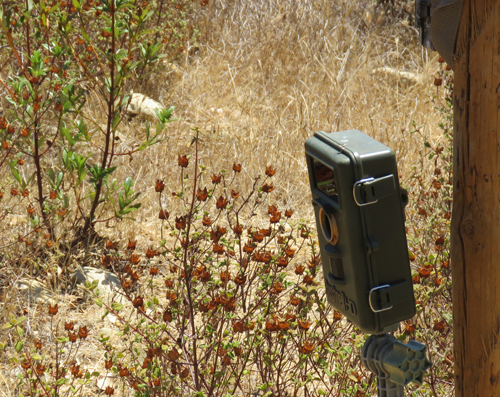 Unlike nearly all other Trail Cameras this one does not use infra-red flash for night-time photos. 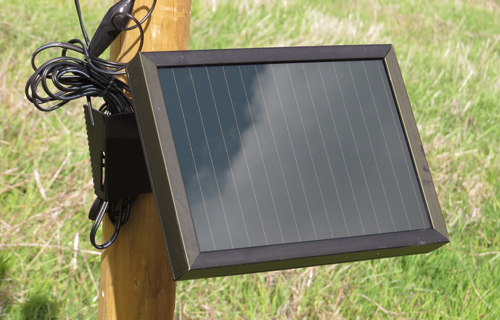 Instead it has a White Light flash. 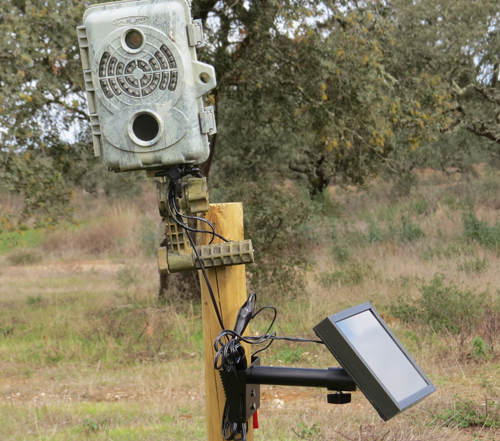 As a result this camera can take Colour photos at night, whereas other trail cams only take black and white photos after dark. 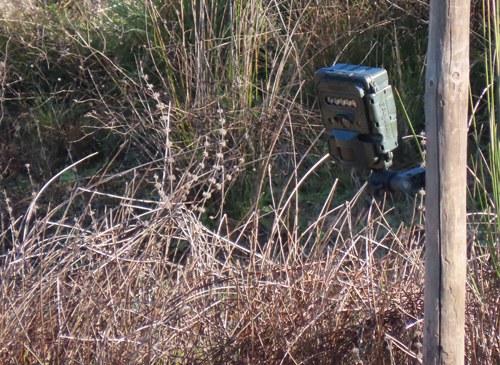 As this camera is a little more intrusive due to the flashlight it is only used in non-sensitive locations. 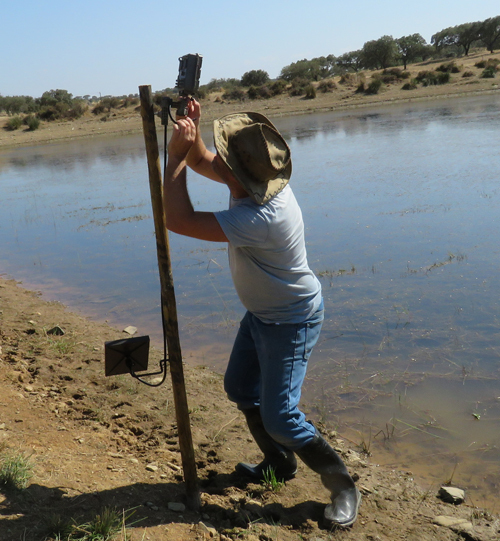 So far our resident mammals such as otter and badgers have shown no adverse reactions to its use. 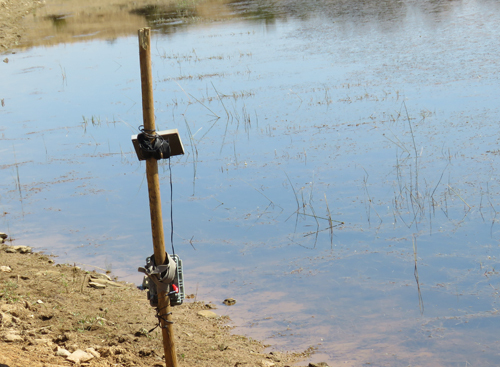 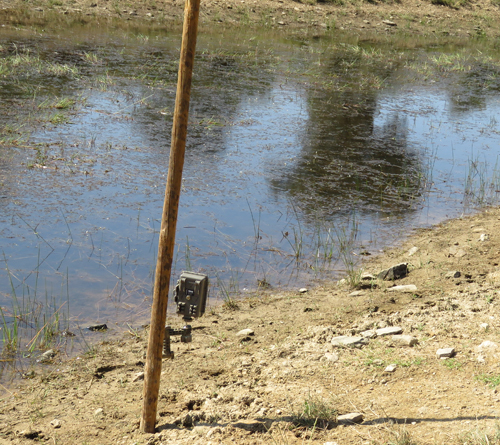 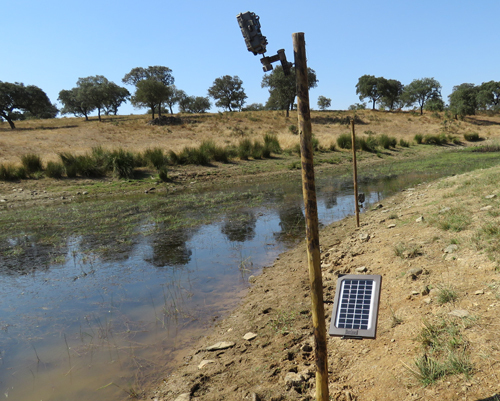 Cameras at Culvert where Iberian Fox lies up. 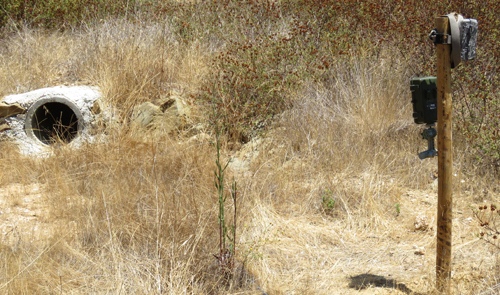 One trailcamera pointing at culvert and another down the game trail. 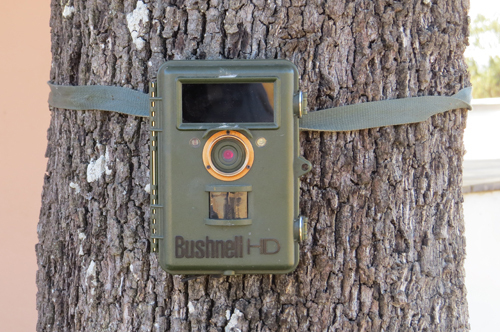 Bushnell HD TrailCam 119440 Nature View Cam. 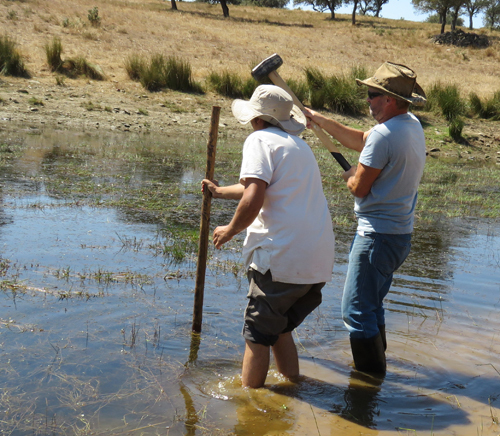 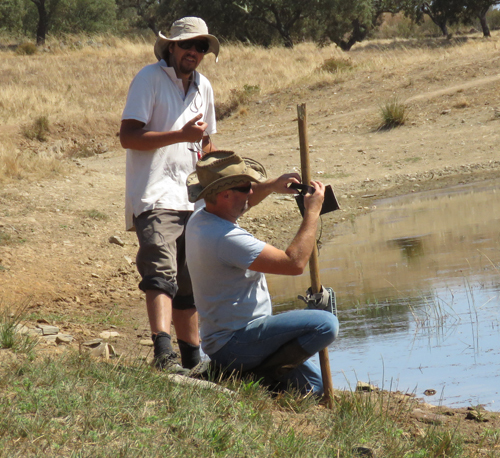 Putting Perch for Kingfishers into Windmill Pond. 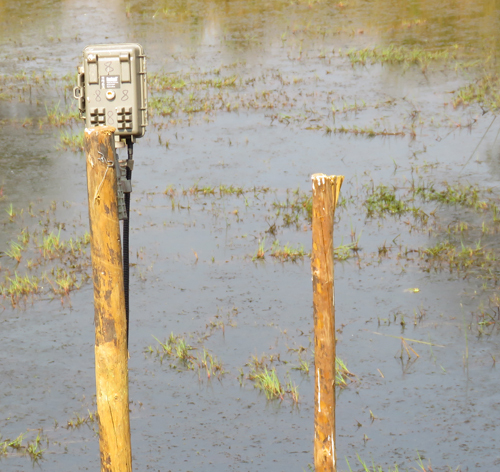 Bushnell Trophy Cam Aggressor HD No Glow 24MP Camo (119877C) set up to photograph the 'Kingfisher' perch. 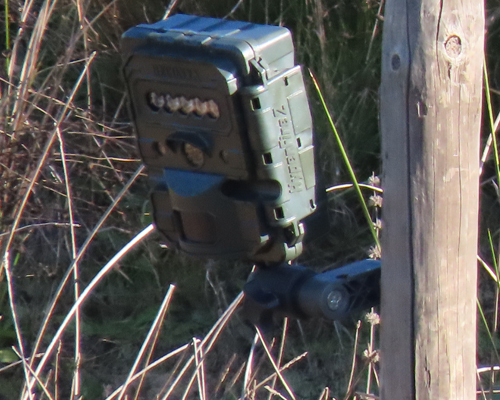 Bushnell Trophy Cam Aggressor HD No Glow 24MP Camo (119877C) set up to photograph birds and mammals at the water's edge at Windmill Pond. 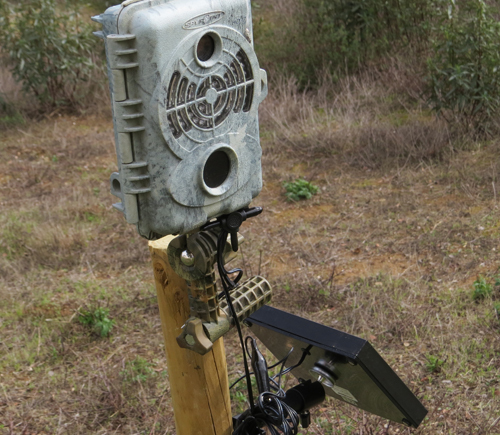 Bushnell Trophy Cam HD Aggressor 119775. 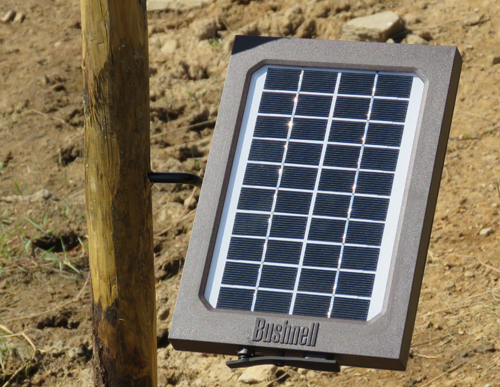 SPyPoint powered by Solar Panel.